I recently did a post highlighting the third series of Monster in My Pocket, and now I'm about to dive into Series 2. I guess I'm working backward. 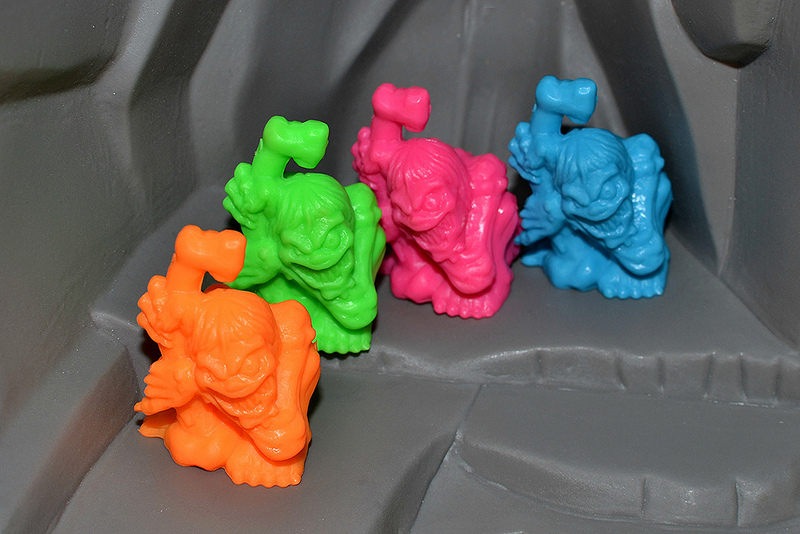 The second set of MIMP was a major source of frustration to me as a kid. I was massively into Series 1 and collected everything I could get my hands on related to the line, so you can imagine how pumped I was to see mention of an imminent Series 2 in MIMP comic books and ads. 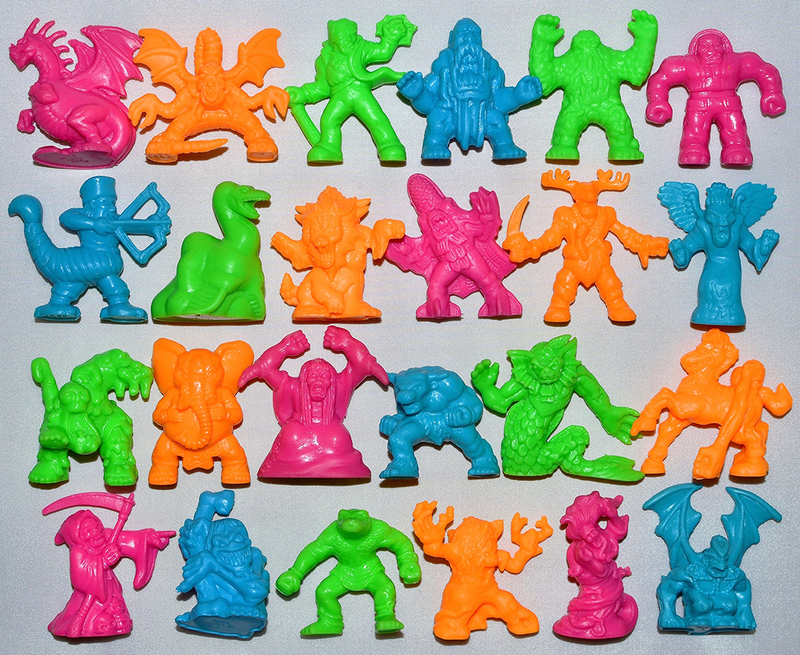 My eight-year-old self was pretty much drooling over the prospect of more awesome rubber monsters to add to my collection. But then Series 2 was never released in my area, and of course there was no going online to buy stuff in those days. 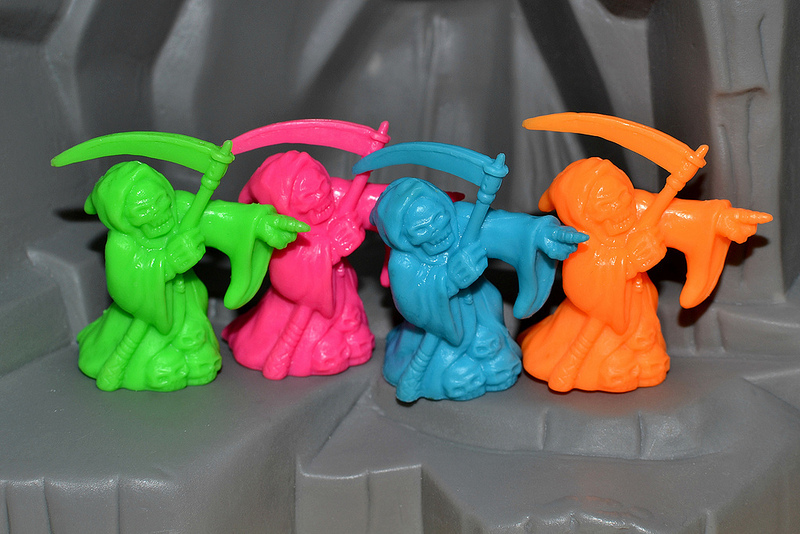 I did manage to get a few of the figures through a mail-away promotion back then, but that was it until years later when I got online and found there were actually fellow MIMP geeks in the world, and did some trading with them to assemble a set of all the Series 2 sculpts. It was kind of like a small victory to me to finally have these all of these elusive (to me, at least) figures. I don't think Series 2 is quite as popular as Series 1, probably because there aren't as many sculpts or different colors to collect. And it isn't as sought after as Series 3, since it's much more easily obtained than those. That said, Series 2 is a fantastic and very collectible set of figures. GANESHA is no doubt the most popular sculpt of the 24, probably for a couple reasons. First, since it was recalled it's not quite as easy to get as other sculpts, which always adds some appeal for collectors. 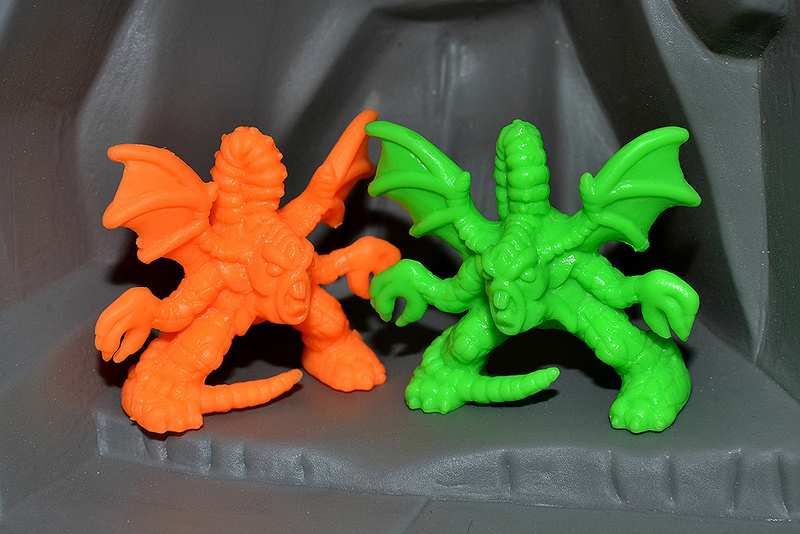 The orange version is one of the toughest sculpt-color combos to track down from the set, and the other colors, while not rare, still get a lot of attention. Also, the sculpt is just really cool. 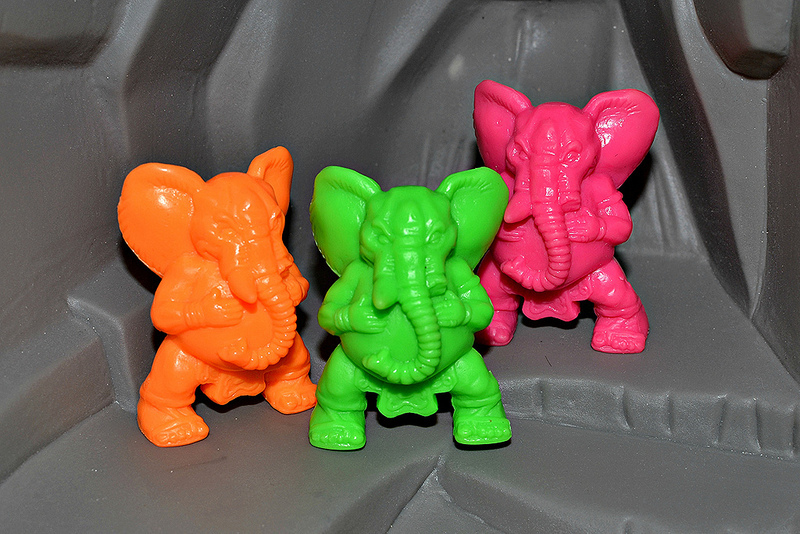 Who wouldn't want a brightly-colored figure of an anthropomorphic elephant god? People just seem to love skeleton creatures, so SPECTRE here is naturally one of the hot tickets of Series 2. The long scythe, pointing pose and skulls pouring out of the bottom of his robe all make for a pretty sweet sculpt, too. You could put him in front of a bunch of Skeletons from Series 1 and pretend he's commanding them as his minions. In British legend, BLOODY BONES was a boogeyman that hid under stairs and feasted on naughty children. I think the MIMP interpretation captures the freaky, nightmarish nature of this legendary creature well. Look at that evil grin, those crazed, maniacal eyes and the way it's grasping onto that huge bone. Fun stuff! 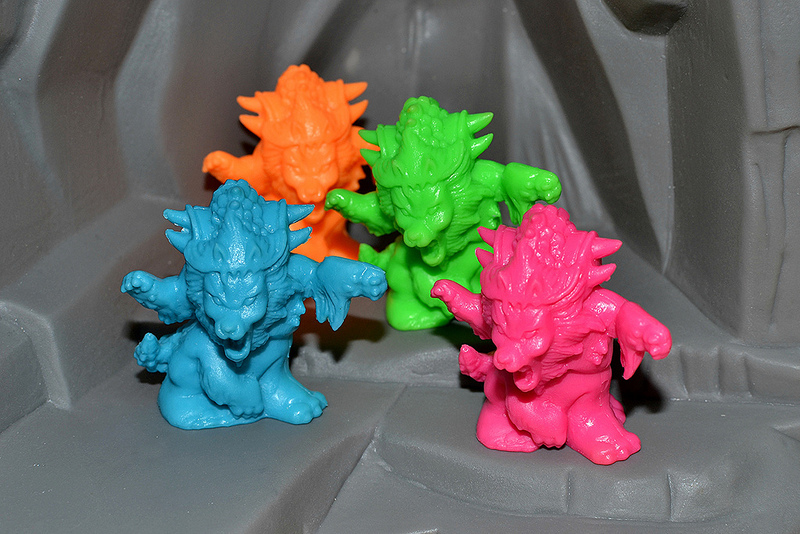 Like Ganesha, certain colors of JABBERWOCK are some of the most difficult Series 2 figures to locate, which amps up its appeal. But beyond that, this is a great sculpt of the creature from Lewis Carroll's Through the Looking-Glass, and What Alice Found There. The sculpt is obviously based on the classic illustration of the Jabberwock by John Tenniel. HERNE THE HUNTER is another creature from English folklore. In literature, he's a ghost of the forest with antlers upon his head. 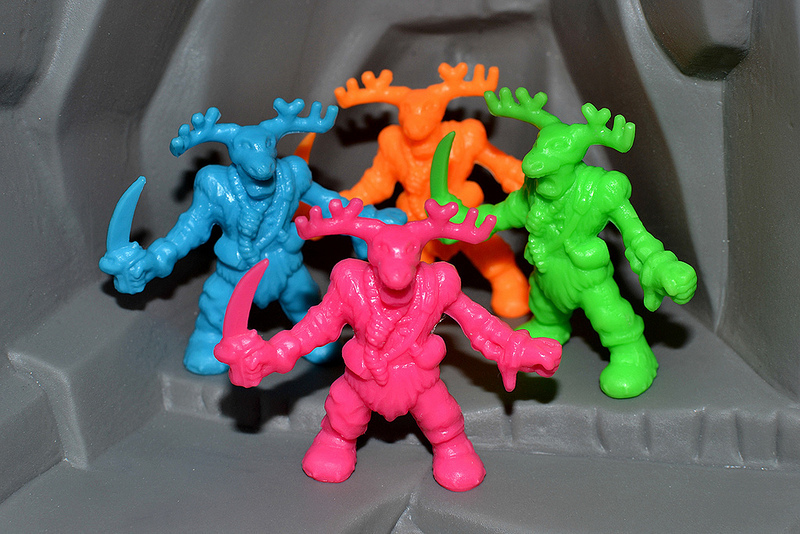 This is another one of the few Series 2 figures I owned as a kid through the SpaghettiOs promotion, and I always thought he had a full deer's head on top of a human body. Upon closer inspection it looks more like a crazy dude wearing the top portion of a deer's skull over the upper half of his head. Either way, this one cool and freaky looking toy. DRAGON is far from the most exciting or unique monster in the MIMP canon, but I've always found this sculpt really appealing. Maybe it's the nice simplicity of the design, or the fact that it's another one of the few Series 2 sculpts I was able to get my hands on back in the early '90s. It's also noteworthy in that it's the first monster of Series 2 at number 49, so the first figure in the line with a 30 point value. TARASQUE is definitely one of the most detailed figures of the entire MIMP series. This dragon-like creature is from French legend and is a mishmash of different animals. 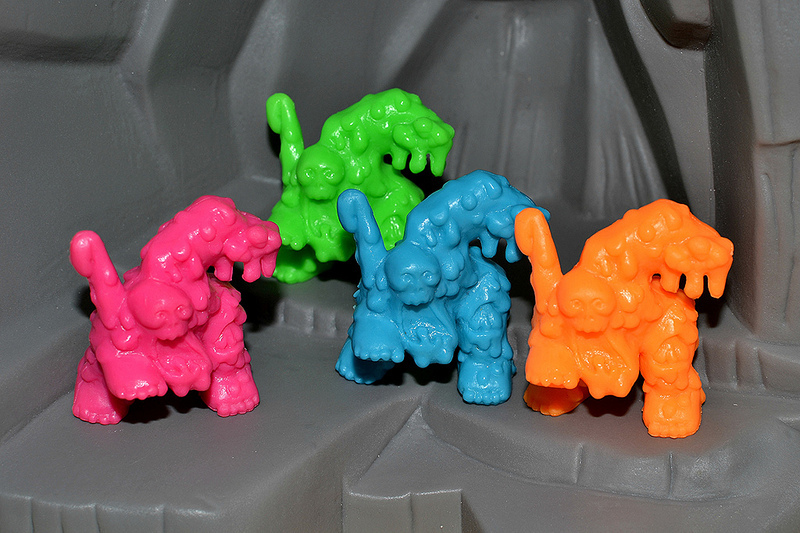 According to the Series 2 pamphlet, it has a "lion's head, six bear claws, spikes down his back and a viper's tail." I'm not sure if the sculpt was based on any particular imagery like many MIMP were, but either way it does a nice job of capturing the strange combination of parts that make up this beast. Finally, we've got the ECTOPLASMIC PHANTOM, described as "a spirit in the physical world, who produces the otherworldly ectoplasm to overcome victims." This is sort of like a counterpart to the Ghost figure from Series 1, maybe like a super-ghost or something. I really love the sculpt on this one, with its bumpy texture, freaky long face and pieces of ectoplasm jutting out of its body. And there you have it, MIMP Series 2. There's plenty more figures from the set that I'd love to review, but I think this post has gotten long enough by now. What about you? What are your favorite MIMP Series 2 figures? 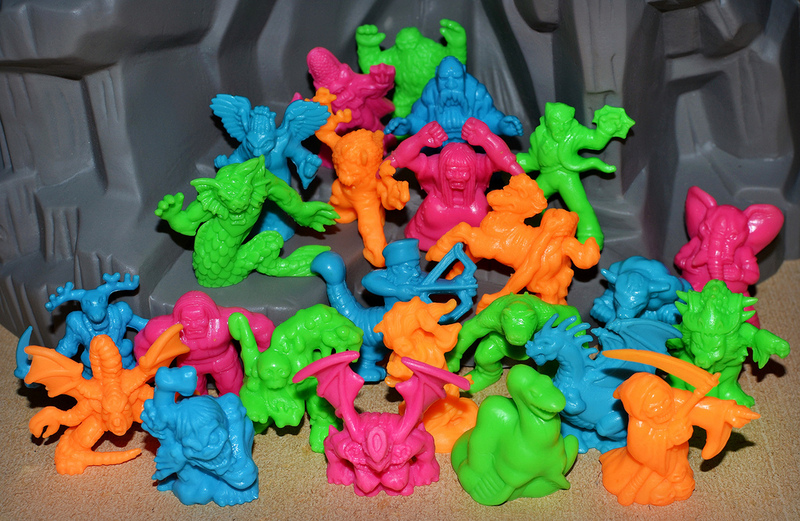 Were you luckier than me and able to find them back when they were released? So much wonderful going on here. 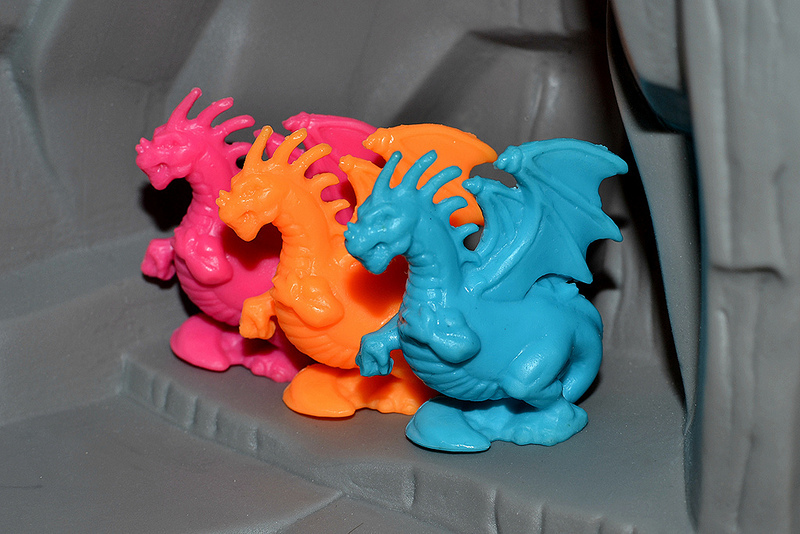 Green Dragon is allegedly the rarest of the colors in the series. Not sure what makes it so rare, but it is hardly every available. That's one of the tougher ones for sure. I still need one of those. These were very easy to find in the UK, with the exception of Ganesha which was deleted almost immediately. I didn't get hold of one until I started collecting again in adulthood. I don't recall having any problems finding Herne though, so that must have been deleted later. I think (and I might be wrong) that Herne was only deleted from the 24-packs whereas Ganesha was deleted from all assortments. I loved these guys. Took me some time to finally complete. I as well, had gotten my start with the Series 2 Spaghetti-o's promotion. I had originally missed Set A with the Dragon and Orange Ganesha. Oh well. Did they sell Series 2 in stores near you? I'm curious as to how many areas in the U.S. actually got them. I have got the green Jabberwock.